Inside, most of us are probably thinking, “Shut-up, mate” but whether you actually believe them or not, it can make you re-evaluate your own bike, whether you’re happy with the relationship or whether it’s holding you back. And then the doubt starts to creep in. Your bike looks a little bit shabbier than it used to doesn’t it? The display looks a little outdated and the technology (that was fine before the conversation started) now seems a little bit primitive next to the bells and whistles of your mate’s new ride, don’t they? Do not worry. You’re not alone. It’s a common condition and one that’s called motorbike envy. We never know when it will strike and it can be induced by your mate, a mint condition classic pulling alongside you at the traffic lights or a new release from a manufacturer, it can hit anyone at any time, no-one’s immune. The definition: a desperate longing for another motorbike induced by the appearance of somebody else’s lovely motorcycle. Motorbike envy is a common condition among riders and can be triggered by all manner of events. Sometimes it’s the twist of a throttle and a longing look at a legendary bike that’s just overtaken you on the road. It can also start with a slick video from a manufacturer or company, as a new bike twists beautifully along challenging roads in stunning locations. Or it can start with your mate banging on about just how good his latest machine is and just how much better it is than yours. Who gets hit by motorbike envy? All riders, of all ages, of all types of motorcycles and across all motorbike disciplines get hit by motorbike envy; nobody is safe. If you ride a classic, you’ll get jealous of other classics. If you’re a devout Ducati rider, you’ll get jealous of somebody else’s Ducati. If you’re an off road fanatic, your eye probably won’t be drawn to a chunky Harley-Davidson cruiser, but if a Husqvarna or KTM revs past in the dirt, it may get your pulse racing. Whatever bikes you’re into, you will get struck. 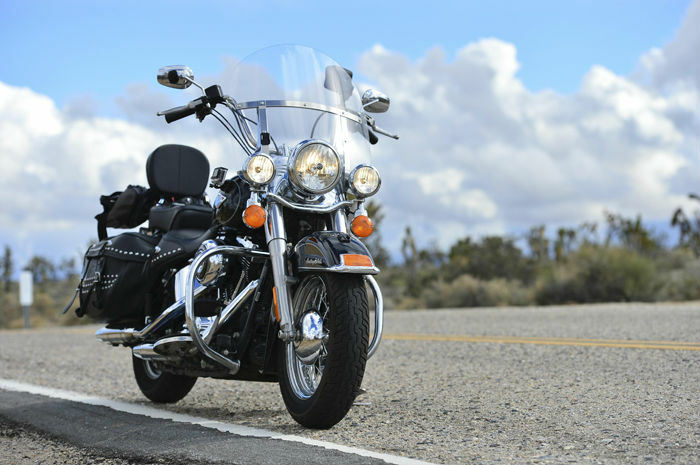 Motorbike envy comes in various degrees and its seriousness usually depends on how much you love your current bike and, to a certain extent, how much other riders love your bike. Sometimes motorbike envy drifts away with the passing of time, or when you jump on your trusted bike and quickly get reminded of just how much you love your bike. But if you’ve never quite gelled with your bike, motorbike envy can be hard to shift, with the grass seemingly greener elsewhere. 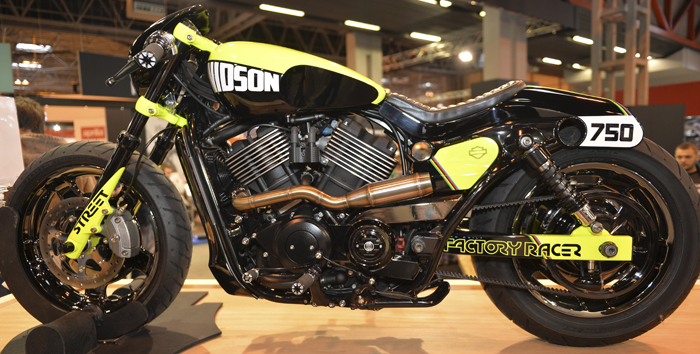 Here are a couple of ways you can kick motorbike envy into touch. Nothing rekindles your love for your motorbike quite like a ride out. WARNING: This can also put the final nail in the coffin if your bike performs below par. Try to remember that your motorcycle is there to get you from A to B, it’s a practical, cost efficient means of travel, nothing more, nothing less. So if your bike gets you from A to B, hassle-free then there is no reason why you should change it for another one. WARNING: Sarcasm in patches. Of course you want another bike. If your friend has got a new bike think “good for them” not “bad for me”. Be pleased that they’ve got a brand new, top of the range Sportsbike that they can enjoy. Share their enjoyment, rather than your impressive vocabulary of swear words, as they accelerate past you to illustrate their impressive power-to-weight ratio. Just as wrinkles on a person hint at character, a scratch on a fuel tank or a faulty gearbox is just a little quirk of your bike. It’s not a reason to get rid and forget all that you’ve shared with your motorcycle. Your bike’s blemishes tell you of that time you got a little too close to that wall. Shiny perfection may look pretty but it really means that your bike hasn’t lived. Sometimes there’s only one way to get over motorbike envy and it’s the most expensive option usually, parting company with your old bike. Change frightens a lot of people but it can be the best course of action. So ride your mate’s motorcycle or book a test ride and see what you think. WARNING: You need to be insured if you’re riding somebody else’s motorbike. Some Comprehensive policies allow you to ride other peoples’ bikes but you should always check with your insurer to see whether you’re allowed to ride another motorcycle. Next page: Am I insured to ride somebody else’s motorbike?